Favours – again, what’s with weddings and daft names..? Wedding breakfast when you probably don’t mean bacon and eggs eaten at 9am and favours when you mean small gifts dished out to guests. Should the budget bride splash out on such extravagances? You can pay a small fortune for customised miniatures, bottle stoppers*, chocolates et al. Again though, the pink, frothy tidal wave that is wedding planning may well sweep me off my feet and I’ll feel as if my wedding just isn’t right without some wee piece of kitsch to give out at the end of proceedings. So, I could make my own… I visited Lakeland at Windermere recently. Any bakers out there? If so, you’ll know what a huge deal Lakeland Windermere is; the mothership of baking. 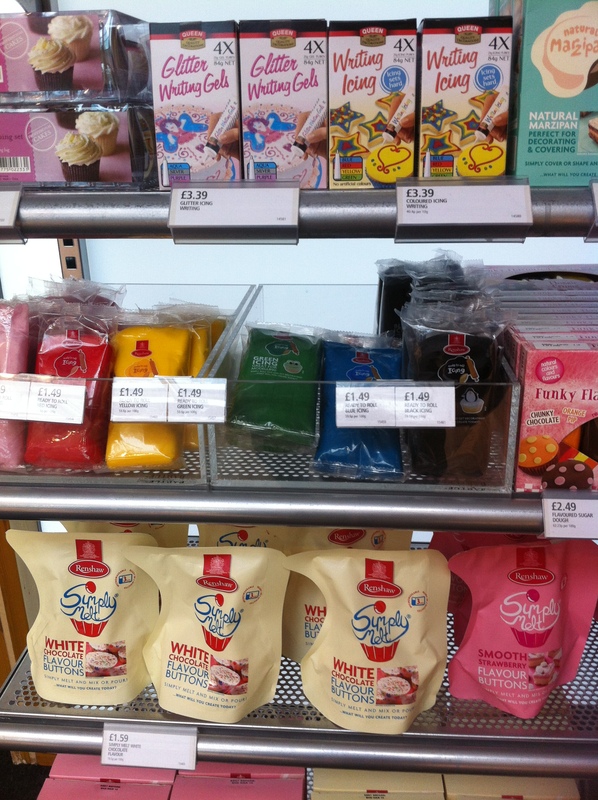 Here, all kinds of wonderful things are available to buy – moulds, tins, chocolate melts, sugar paste, sugar craft. If baking and all things creatively culinary is your thing, best leave the credit card safely at home. Milk chocolates again, this time coating fudge. Flash update! I’ve been diet coke free for two weeks. So, my teeth feel better (less sensitive), my stomach feels flatter and I feel as if my energy levels are more evenly spaced throughout the day. **Personally, I blame the iPhone. Instant access to all those apps has ruined me forever.